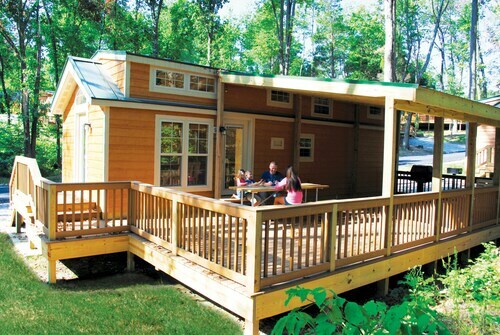 Situated in Santa Claus, this campground is within 1 mi (2 km) of Santa Claus Museum and Holiday World and Splashin' Safari. Santa's Candy Castle is 1.2 mi (1.9 km) away. Situated in Santa Claus, this vacation home is within 1 mi (2 km) of Santa Claus Museum and Holiday World and Splashin' Safari. Santa's Candy Castle and Christmas Lake Golf Course are also within 3 mi (5 km). Located on a river, this family-friendly guesthouse is within 6 mi (10 km) of Holiday World and Splashin' Safari, Santa's Candy Castle, and Christmas Lake Golf Course. Santa Claus Museum and Lincoln Amphitheatre are also within 6 mi (10 km). Situated in a rural location, this vacation home is close to Santa Claus Museum, Holiday World and Splashin' Safari, and Santa's Candy Castle. Area attractions also include Christmas Lake Golf Course. Nice hotel. Breakfast was very good with lots of variety. My only complaint is that the hotel smelled of mildew. 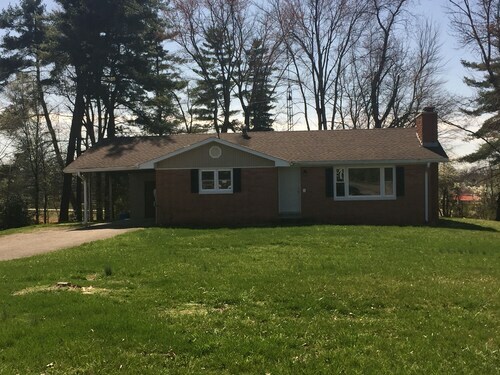 An economical and comfortable jumping-off point to lovely south Indiana and Louisville. 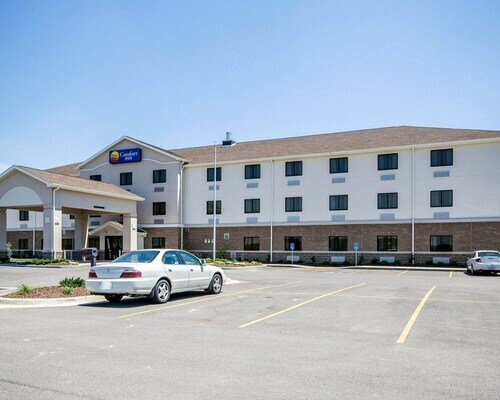 We enjoyed our 2 night stay at the Comfort Inn in Ferdinand, IN. Situated in Ferdinand, this historic farm stay is in the same area as Holiday World and Splashin' Safari, Santa Claus Museum, and Santa's Candy Castle. Regional attractions also include Christmas Lake Golf Course and Lincoln Boyhood National Memorial. Staff were very accommodating and knowledgeable about the surrounding area as well. Clean rooms, friendly people. 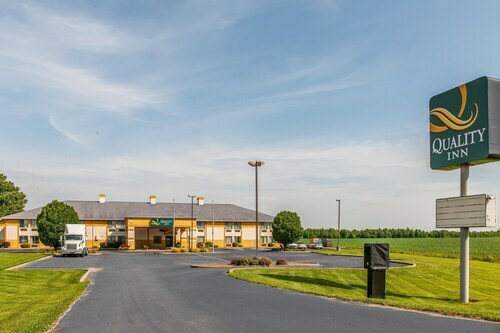 Located in the heart of Lewisport, this hotel is 12 mi (19.3 km) from Yellow Creek Park and within 20 mi (32 km) of Reid's Orchard and International Bluegrass Music Museum. Owensboro Museum of Science and History and Smothers Park are also within 20 mi (32 km). Succumb to the adrenaline rush and allow your inner-child to run wild during a visit to Holiday World and Splashin' Safari. You'll have to make a 110 miles (177 kilometers) journey from the state capital, Frankfort, to Santa Claus, if you want to explore it. Make your trip to Holiday World and Splashin' Safari as easy as possible by staying close by. You'll discover that there are 3 hotels within 6 miles (10 kilometers). 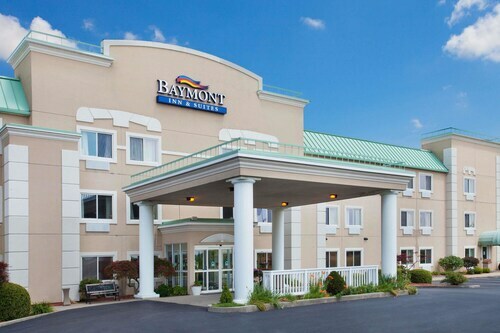 The Baymont Inn & Suites Dale and Comfort Inn will offer you at least some of the features you desire. 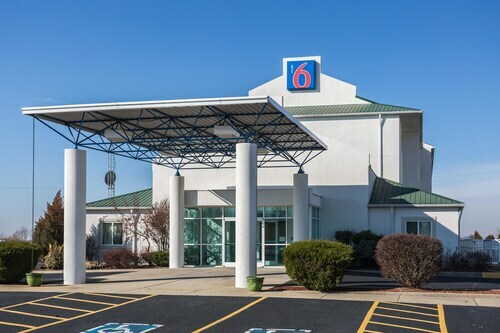 The Motel 6 Dale is a fantastic choice for anyone looking for a reasonably priced solution. Given that it's only 6 miles (10 kilometers) away, you don't have to go very far. You'll soon discover that Kringle's Kafé (452 East Christmas Boulevard, Santa Claus), just a short walk away, is a favorite venue to get a hot coffee and contemplate the day's itinerary. If you intend to eat out, stop by Brick Oven Pizza (21 N Kringle Pl, Santa Claus) and see if the menu is what you're after. Go and pick up one or two brochures and maps from Spencer County Visitors Bureau to discover more about this region. The young ones will have tons of fun and excitement when they take on the mini golf course at Frosty's Fun Center. Stop by 1935 Santa Statue when you're in the vicinity, and learn about what it means to the area. If you're looking for somewhere to keep the kids busy, you could try Santa Claus Museum. Visit Santa's Candy Castle, a great local spot where you can satisfy your sugar cravings with a variety of tempting treats. How Much is a Hotel Room in Holiday World and Splashin' Safari? Hotels in Holiday World and Splashin' Safari start at $56 per night. Prices and availability subject to change. Additional terms may apply.